We're told the best thing you can provide to children is a positive role model. The primary mission of Lacrosse Evolution is to enrich athlete's lives by providing outstanding lacrosse experiences. The mission of the Philadelphia Area Girlsâ€™ Lacrosse Association is to promote the game of girls lacrosse in recreation programs for girls up to eighth grade, by facilitating communication among all programs on coaching techniques, rules, umpires, game schedules and other lacrosse events. The Philadelphia Lacrosse Association is a non-profit organization and the local chapter of US Lacrosseâ€”a 501(c)(3) based in Baltimore that serves as the national governing body for the sport. The PLA supports and promotes the game of lacrosse at all levels in its chapter area, which includes Greater Philadelphia, Eastern Pennsylvania and portions of Northern Pennsylvania. Positive Coaching Alliance (PCA) is a national non-profit with the mission to provide all youth and high school athletes a positive, character-building youth sports experience. Central to our work is our models: The Double-Goal Coach, whose first goal is winning, and whose second, more-important goal is teaching life lessons through sports; The Second-Goal Parent, who concentrates on life lessons, while letting coaches and athletes focus on competing; The Triple-Impact Competitor. 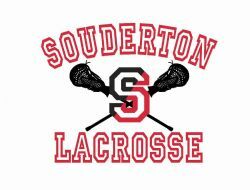 The Souderton Area Boy's Lacrosse Association's (SABLA) mission is to offer our young athletes of the Souderton Area in grades 1-8 the highest level of positive coaching and expert instruction within an atmosphere of team support and family values. We work hard to ensure that every athlete that steps out onto the field with a Lacrosse stick has the opportunity to play and have fun!